Hurricane Harvey has caused devastation on the Gulf Coast in Texas. A disaster, by definition, is an event that overwhelms your resources. First, see what you can do to help. Then, scroll down to see who from the Beehive State is helping in Texas and also to see how our own state is getting ready for disasters. Thank you for your generosity in donating to relief organizations that are on the ground and doing tremendous work alongside the first responders in Houston, Harris County and throughout southeastern Texas. Here’s how to donate responsibly to the relief effort. Whether you want to donate cash, goods, or services to assist in the Hurricane Harvey response, make sure you do so responsibly. Unsolicited donations can cause a “second disaster” you can read about in this CBS News report from 2016. If you need help in determining who to give to, the National Voluntary Organizations Active in Disaster website has a list of major non-profits active in disaster work or contact your FEMA Voluntary Agency Liaison for guidance. For more information, visit www.fema.gov/volunteer-donate-responsibly. Remember, it’s best to donate cash, and not stuff, to relief organizations. The only State resources that were requested were a couple of Blackhawk helicopters from the Utah National Guard. They deployed August 26 and returned September 8. Utah DEM stands ready to assist through coordination of resources should more requests come in. 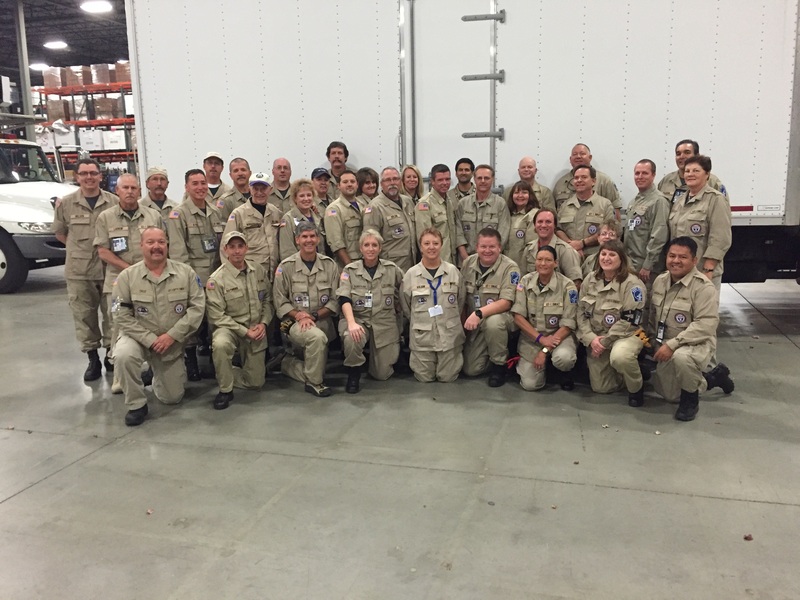 Utah Task Force 1 is one of 28 specialized urban search and rescue teams in the United States. Our team is sponsored by the Unified Fire Authority of Greater Salt Lake. Here’s the story on their return (Fox 13). 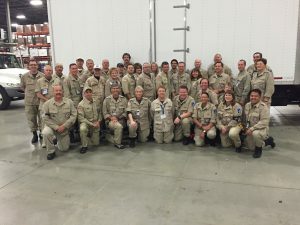 The Disaster Medical Assistance Team, or DMAT, is composed of medical professionals who can help with emergency medical needs. They are expected to augment hospital staffs or assist with moving patients when needed. The team’s 36 members consist of physicians, nurses, paramedics, emergency medical technicians and other medical specialists. The unit is designed to be self-sufficient for 72 hours with supplies including food and medicine. The team’s primary mission is to supplement the medical needs in the areas heavily impacted by the hurricane. Utah’s team was formed ten years ago and until now, had never been deployed as a whole team. Water and hygiene kits have been delivered to the San Antonio Food Bank and Red Cross. Utah DEM, Be Ready Utah, Utah State University Extension, Fox 13 and KBYU have sponsored this annual conference and expo to teach the public how to be ready for emergencies of all types. Coming up in September, Utah DEM and the Salt Lake County District Attorney’s Office are co-hosting this workshop. This one and a half day workshop will showcase presentations from national leaders on how to deal effectively with crisis and disaster events. Presentations will show the long-term impacts of disasters and how communities can lessen their risks and liability. Who’s it for: Emergency managers, lawyers, community officials, etc. September is National Preparedness Month to help you get ready for emergencies.